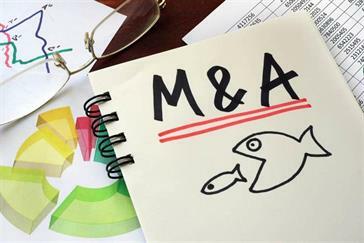 Merger and acquisition deals involving UK marcoms agencies have fallen year-on-year despite the entry of the management consultancies into the space. There were 29 deals involving UK agencies in the third quarter of this year, down from 42 in the same period last year, according to analysis by Results International. During the first three quarters of the year there were 84 deals in the UK, down from 115. This reflects an overall downward trend globally with 654 deals in the first nine months of 2017, down from 785 year-on-year. Deals across the UK for the first three quarters of the year stand at 13% of total global deals, down from 15%. In contrast, a quarter (25%) of all industry M&A deals in the same period came from Western Europe (excluding the UK), up from 19% during the year ago period. The number of Western Europe deals for the first three quarters of the year jumped from 146 to 162 year-on-year. Results International believes Brexit could be prompting international buyers to pay closer attention to "high-quality targets" in emerging digital hubs such as Germany. West European deals included WPP acquiring German-based creative agency Think, AKQA buying Danish digital agency Dis/Play, and Altavia Saint-Étienne SAS acquiring French digital strategy agency Jetpulp. Accenture is now the third largest marcoms buyer for Q1 to Q3 after completing nine deals, behind only WPP (25 deals) and Dentsu (21). In the same period Deloitte made three acquisitions, while Omnicom made two. Julie Langley, partner at Results International, said: "Although the networks continue to dominate by deal volume, the management consultancies are making strategically important transactions further into the heart of adland: deals such as Accenture buying Wire Stone and The Monkeys, and Deloitte buying Acne. It will be interesting to see how they and the other consultancies continue on this path. "There are also some highly attractive marcoms businesses in the main continental markets of Germany, the Nordics and France, made even more so by buyers who may be looking to de-risk with Brexit on the horizon. The rise in cross-border activity shows that buyers from around the world want to expand into key new markets through acquisition." The largest subsector in Q3 continues to be full-service digital agencies with 29 deals. Private equity during the first three quarters accounted for 12% of all marcoms deals, and was higher than the same period last year (8%). Langley added: "PE houses have traditionally been wary of businesses focused on project-based work, which is why they shied away from much of the sector except for PR. However, private equity has a lot of funds to deploy and is increasingly looking at marcoms as an attractive sector. "We wouldn’t be surprised to see even more private equity interest in marcoms over the coming months. Indeed, we wouldn’t rule out PE investors taking a closer look at some of the holdcos."